October is finally here! Time to pick apples and go pumpkin picking! My birthday month and Skinnytaste Fast & Slow hits the shelves in just a few days (Oct 11)! Check out some of my favorites fall recipes like; Slow Cooker Apple Butter , Slow Cooker Applesauce and Pumpkin Butter! Bring on the pumpkin obsession! Maybe I missed something or overlooked it, so excuse me if I have. This week you listed Mongolian Beef w/ Broccoli but up above it is not listed as Mongolian Beef. Also the ingredient listed for the recipe doesn’t list broccoli. In addition I tried to do a search but to no avail. I think it was name in error. Thx for all the wonderful recipes! My husband thinks you are the best! It’s because of you my food taste good! 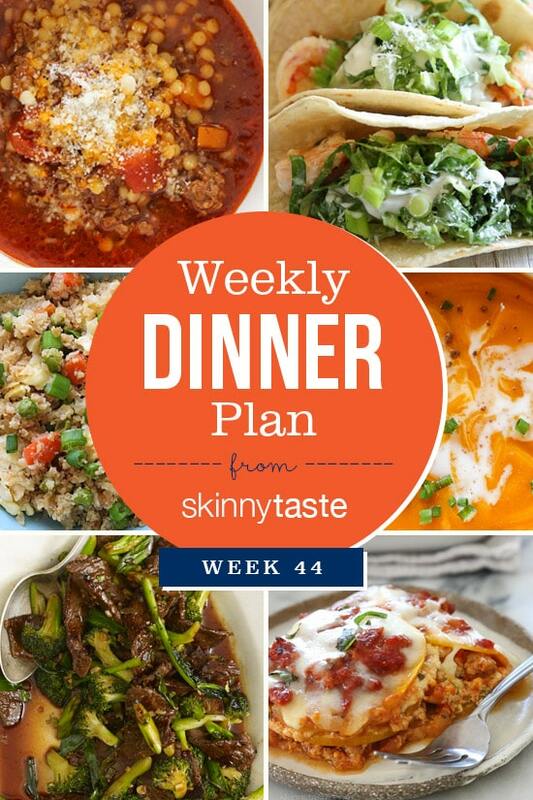 Thank you for easy and delicious meals that are t overwhelming for someone like me who isn’t a fan of cooking. 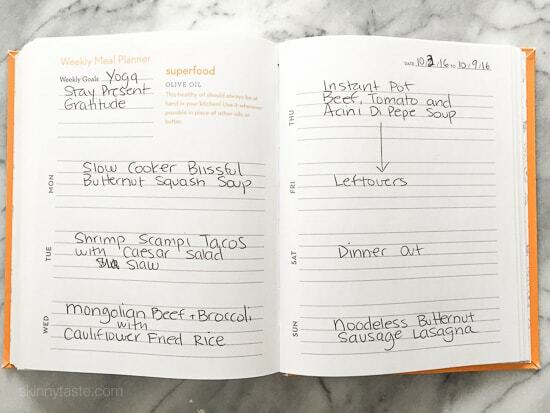 Your meal plans are so delicious and save me so much time trying to coordinate my weekly menus! Thank you for sharing these!